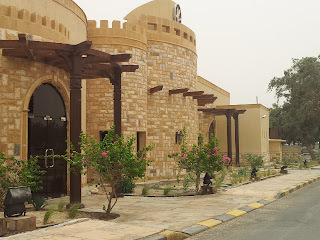 The foundation of Al-Ahmadi city coincided with the discovery of oil in the State of Kuwait. 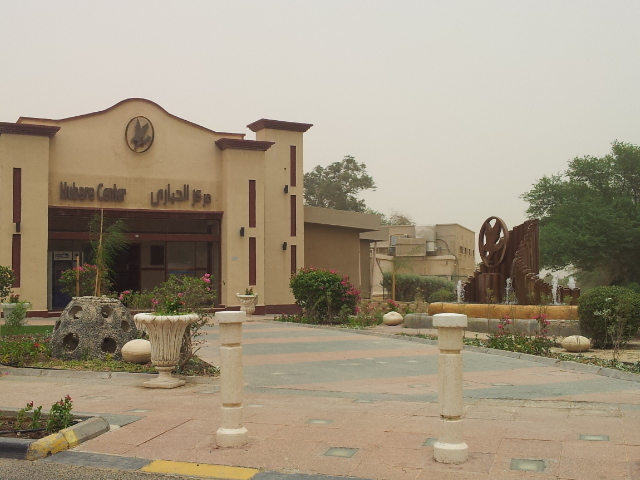 Plans for its construction began in 1940 and it was completed in 1949 near Al-Ahmadi oil terminal. 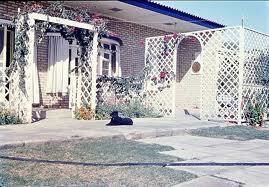 It was constructed to provide housing and various amenities for the people working in the oil terminal. The city was named after the late Sheikh Ahmad Al Jabar, the ruler of Kuwait from 1921-1950 during whose reign oil was discovered in Kuwait. 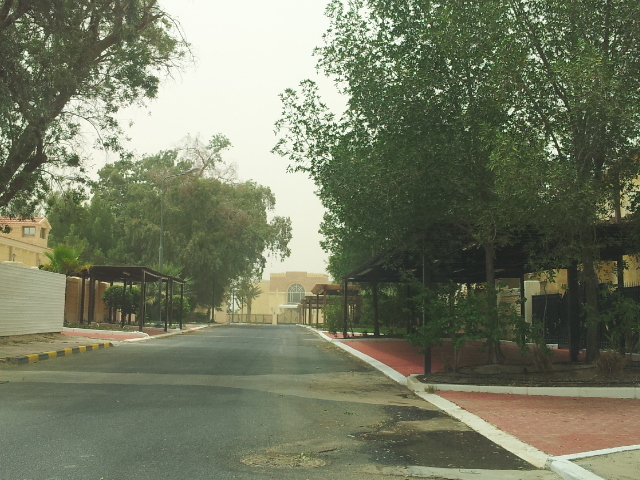 It is the first western-style city in Kuwait, built to accommodate the multinational employees of Kuwait Oil Company (KOC). 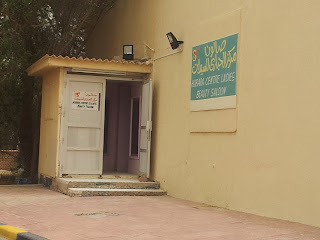 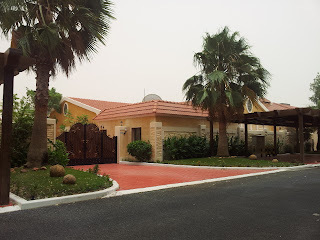 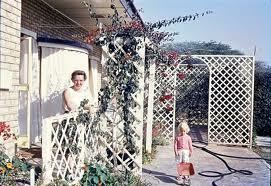 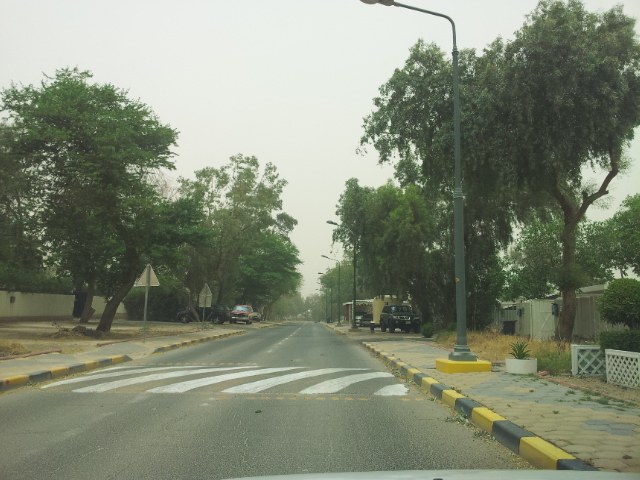 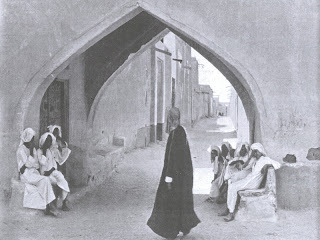 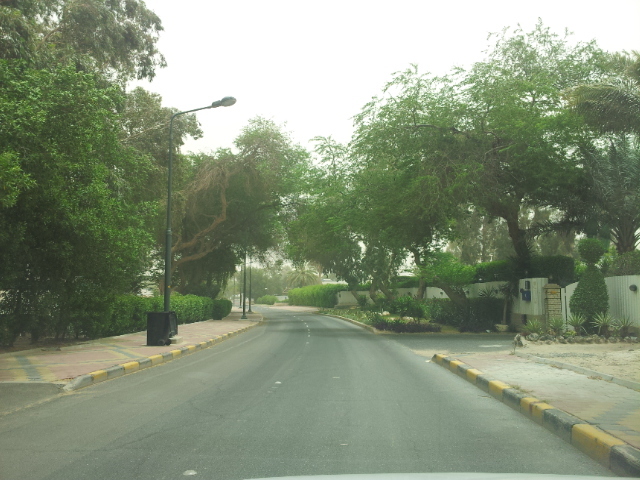 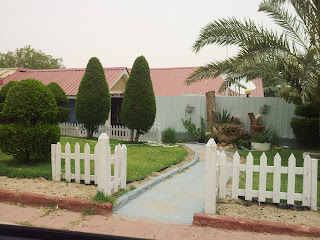 By 1952 there were 1,000 houses in Al Ahmadi. 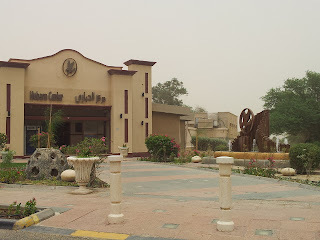 The city was divided into 3 zones; the northern section for directors, the central section for senior staff and the southern section for junior employees. Al Ahmadi city offers sport and recreational facilities, foremost among which is the stadium which holds 15,000 spectators.The city is noted for its villas surrounded by gardens. 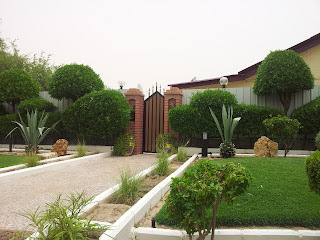 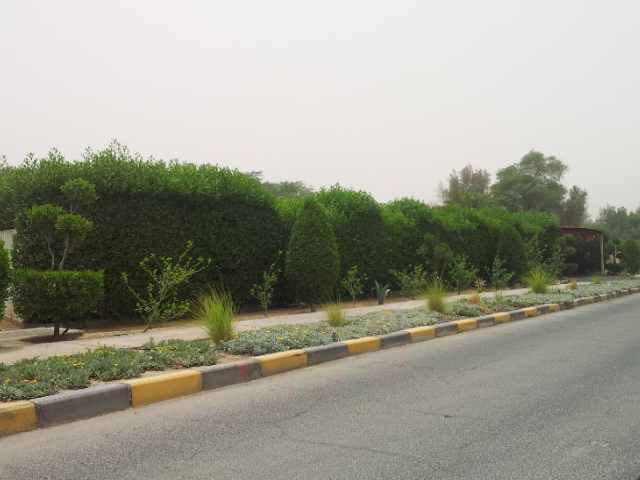 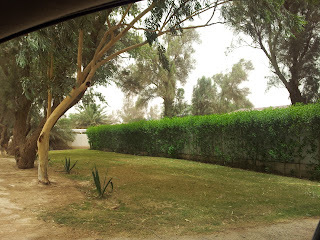 This abundant green garden has helped to alleviate high temperature, especially when sand storms blow. 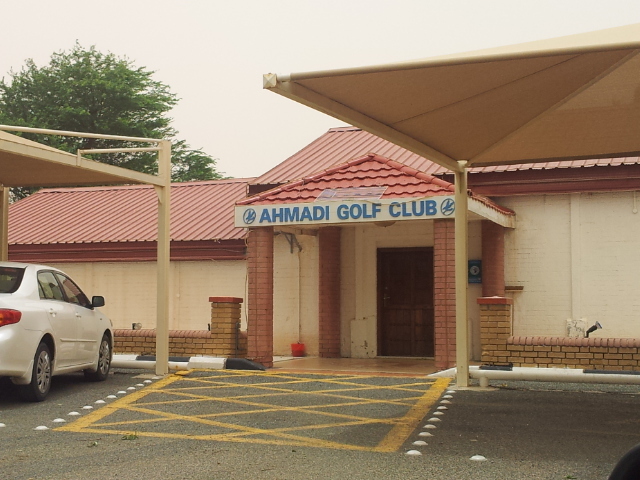 The old Ahmadi golf club, the golf course is now sand but I can just imagine what it looked like when it first opened. 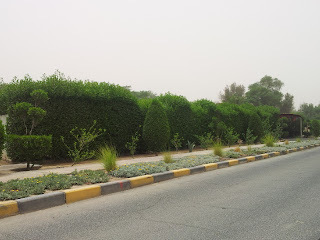 A row of brand new houses which probably belong to someone high up in the oil sector or someone who has a lot of money and wasta, but from what I could see they are beautiful. These new houses give Ahmadi a fresh updated look without losing the charm of the area.